Prescription drug abuse is one of the leading causes of accidental death in America. 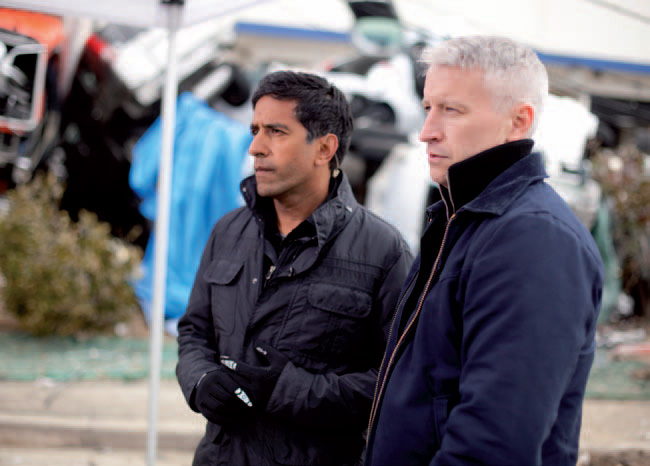 In a special hour airing tomorrow, Wednesday, May 11th at 9pm, AC360 anchor Anderson Cooper and CNN’s Chief Medical Correspondent Dr. Sanjay Gupta examine the truths behind this alarming rise in unintentional deaths and what we can do to stop it. The Town Hall audience will be comprised of people who have been effected by opioid abuse and guests will include addiction specialists, former addicts and doctors. Anderson Cooper 360° Town Hall Prescription Addiction: Made in the USA will air tomorrow at 9pm, the network touts. Don’t forget the hundreds of thousands that are NOT abusing their Meds. And why are New prescriptions being issued? This is just another TYPE of Drug Barron War, abusing the Patients in this case, get a grip and start readresssing rehab, for those arested, stop over dramatising, this is making the life of people like me a nightmare in medical offices, the ignorant are being abusive toward legitimate patients, stop the abuse by the med teams in clinics toward legitimate patients, not a day of abuseing meds, we are all being tarred wthe the Junkie BRUSH, STOP IT BEFORE SOMEONE GETS SUED, and what is the real story, private prisons not making enough profit? ?